**We are now proud to be able to offer finance on all Boiler Installitions and Full Central Heating Systems. Gormley Plumbing & Heating has established itself as one of the most reliable plumbing and heating companies in such a short time locating across Glasgow and the West. The business has built up an enviable reputation. We pride ourselves on our commitment to provide a professional service with quick turnaround times, whilst maintaining the highest quality of work. We specialise in gas central heating servicing, repairs & installations using the best products and only charge a fair price for labour and are fully transparent. Please call for any enquiries on our hourly rates. *We provide an out of hours service that will be subject to charges. 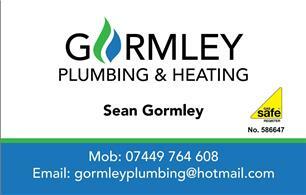 We at Gormley Plumbing & Heating accept Cash, Card payments (debit or credit), & BACS. Get your hands on the new 3rd Generation Nest learning thermostat and start saving now! •Control your heating and hot water from your Smart Device*?? •It adapts to your comfort levels and schedule in less than a week ? Whenever possible, we will fit a high efficiency controller to control your heating system. Not only will this help you save money on your fuel bills but it also makes your boiler perform better if the system can modulate to the requirements of your home.